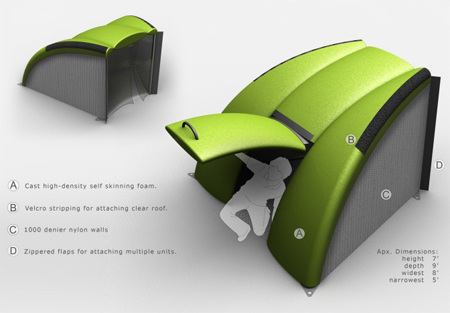 LifeLink Modular Shelter Lets You Be Safe In Calamities ! 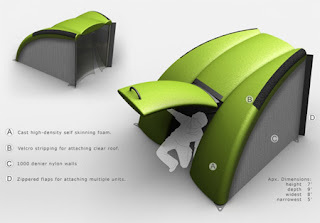 This LifeLink Modular shelter is a newer method inspired by community values. 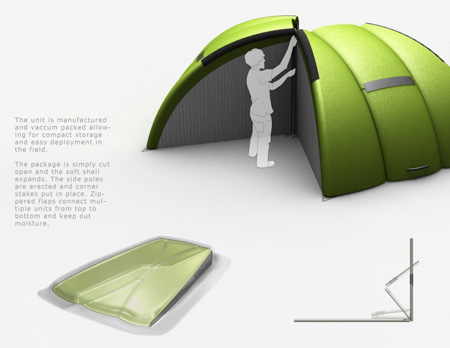 With zune-third-generation-will-arrive-in-2009/">self-skinning foam of 1000 denier nylon walls, they have been made. These shelters are vacuum packed during manufacturing so that when the parcel is ripped open it will inflate itself slowly. In order to form bigger units multiple units are being zipped together. 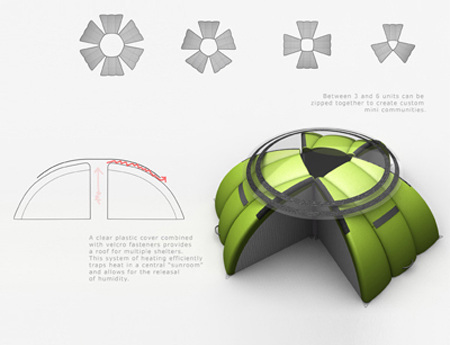 stylish-healthy-safety-and-modern-chicken-yard/">Moreover, a Velcro and plastic sheets are used to cover it. how-to-build-a-tent-in-hill-stations/">Want to build a Tent In Hill Stations ? It can generate a central “auto-eco-light-control-rushes-from-panasonic-twin-pa/">Sunroom” whenever the multiple units are zipped and people of the smaller units can access it. Therefore, it will be a perfect choice for you to shelter in various calamities. The name of the designer is mouse-computer-the-latest-netbook/">Jordan Cleland.